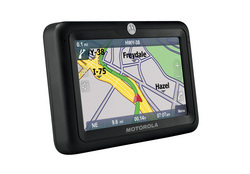 New York, New York (PRWEB) October 27, 2008 -- Motorola, Inc. today expands its accessories portfolio with two new portable Global Positioning Systems (GPS) that will give consumers peace of mind when driving in unfamiliar places. Launching exclusively at RadioShack Corporation, one of the nation's most trusted consumer electronics specialty retailers, MOTONAV TN20 is reliable, easy to use and relieves the stress of driving in unfamiliar places with spoken street names and turn-by-turn directions. MOTONAV TN30, a Bluetooth®-enabled1 GPS navigation system, combines the confidence of finding a destination with a speaker for hands-free cell phone connectivity. Motorola's brand name and brand recognition are highly regarded in consumer electronics and we are proud to be a part of this important launchBy expanding our Motorola product offerings in our almost 5,800 company and dealer stores in neighborhoods across the country, we can continue to help customers choose the best personal technology solutions to meet their needs. "Motorola is pleased to work with RadioShack to provide drivers with GPS navigation systems that are designed and tested for durability and ease of use," said Sean Ramsey, general manager Companion Products, Motorola, Inc. "TN20 is the ideal unit for first-time or experienced GPS users to easily get them where they need to go and TN30 is designed for those who are looking to combine navigation and Bluetooth hands-free calling at a great price." "Motorola's brand name and brand recognition are highly regarded in consumer electronics and we are proud to be a part of this important launch," said Peter Whitsett, executive vice president-merchandising, RadioShack. "By expanding our Motorola product offerings in our almost 5,800 company and dealer stores in neighborhoods across the country, we can continue to help customers choose the best personal technology solutions to meet their needs." MOTONAV TN20 is perfect for a wide range of drivers, combining must-have features in an easy-to-use product. With spoken street names and turn-by-turn directions, as well as more than one million searchable points of interest and accurate maps of the continental U.S. from NAVTEQ, a global leader in digital map data, TN20 makes it easy for users to quickly find a way to their destinations. TN20 provides easy-to-follow, clearly spoken street names and directions along with the most accurate maps and routing on screen with both 2D and 3D display modes. A 3.5-inch touch-screen interface provides a bright and clear display that is easy to see while on the road and automatically adjusts for day and night.. TN20 is compact and portable, fitting easily in a pocket or purse, and mounts on a vehicle windshield or dash with the included suction cup holder. MOTONAV TN30 has all of the features of TN20 and includes NAVTEQ® maps of the U.S., Puerto Rico, and Canada. It features over four million searchable points of interest to allow drivers to find virtually any local business, restaurant or gas station. TN30 has a large 4.3-inch touch-screen interface and provides Motorola's best-in-class Bluetooth wireless technology to enable drivers to make and receive hands-free calls with a compatible phone through the unit's internal speaker. Both TN30 and TN20 offer on-screen speed, distance, arrival time, elevation, and distance traveled; fastest and shortest route options; advanced lane guidance in complex interchanges; and speed limit display with warnings. The systems help drivers easily find their way using several route options, including recent destinations, saved favorite locations or plan a new route. Both systems have an SD slot for updating maps (sold separately) and a mini USB port for easy charging. MOTONAV TN20 and TN30 are now available exclusively at RadioShack, for $199.99 and $299.99, respectively. RadioShack Corporation (NYSE: RSH) is one of the nation's most experienced and trusted consumer electronics specialty retailers. Operating from convenient and comfortable neighborhood and mall locations, RadioShack stores deliver personalized product and service solutions within a few short minutes of where most Americans either live or work. The company has a presence through approximately 4,400 company-operated stores and 1,400 dealer outlets in the United States, over 150 RadioShack locations in Mexico and nearly 800 wireless phone kiosks. RadioShack's dedicated force of knowledgeable and helpful sales associates has been consistently recognized by several independent groups as providing the best customer service in the consumer electronics and wireless industries. For more information on RadioShack Corporation, or to purchase items online, visit www.RadioShack.com. All features, functionality and other product specifications are based upon the latest available information and are believed to be accurate; however such product specifications are subject to change without notice or obligation. 1 This device supports the Bluetooth hands free calling profile. In order for Bluetooth devices to communicate with one another, they must utilize the same Bluetooth profile. To determine the profiles supported by other Motorola devices, visit www.motorola.com/bluetooth. For other devices, contact their respective manufacturer. MOTOROLA and the Stylized M Logo are registered in the US Patent & Trademark Office. 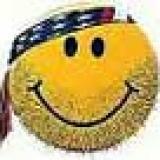 The Bluetooth trademarks are owned by their proprietor and used by Motorola, Inc. under license. All other product or service names are the property of their respective owners. © 2008 Motorola, Inc. All rights reserved.